Petaluma: Apply Today for Playmaker Grants! The 50 Fund was developed to make Super Bowl 50 the most philanthropic ever. San Francisco Bay Area non-profits will recieve 50 Playmaker grants – all you have to do is apply for them. What is a Playmaker grant? the program provides $10,000 grants to community-based organizations with a passionate advocate and a specific, compelling need for funds to provide an immediate community impact. How many Petaluma grantees would you like to see chosen? Even if we got a few that’s $20,000 infused into our area’s programs. If you are a larger non-profit there are also Game Changer grants for $500,000. Projects must help close the opportunity gap for low-income children, youth, and young adults (birth-24) and will be considered from any of the three of 50 Fund’s focus areas —Youth Development, Community Investment, and Sustainable Environment. In addition, each applicant must nominate an individual, affiliated with the organization, whose passion and service makes them a “playmaker” in their community. A video showcasing both the organization and advocate will be produced for each grantee. A total of 50 Playmaker grants will be awarded. Grantees will be announced, one grantee per week, every Tuesday, beginning March 3, 2015. 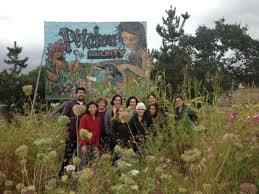 Click here for a list of non-profits on the Petaluma Downtown Association Website. Click here to view the non-profits from the City of Petaluma’s website (unfortunately it appears that has not been updated for 3 years). Youth Development – Providing children, youth and young adults (ages 0-24) living in low-income communities with the educational, recreational and social-emotional supports they need to put them on the path to success. Community Investment – Nurturing the health, well-being and livelihoods of young people and their families through investments in the economic, social and physical infrastructure of their communities. Sustainable Environments – Building the resiliency of communities by enhancing the connectivity between residents and the natural environment that surrounds them.